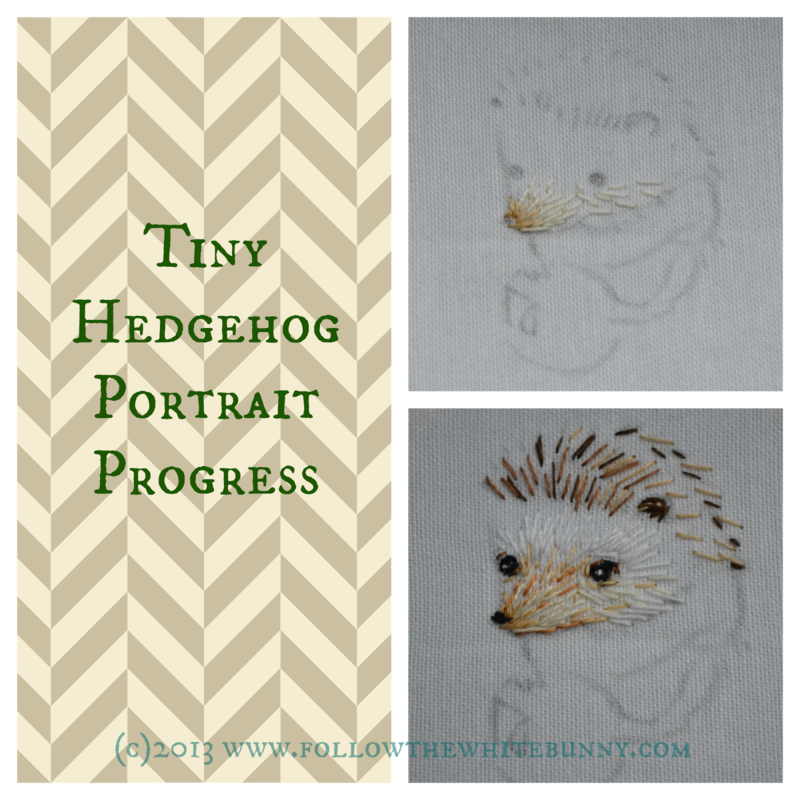 I think it's amazing how much difference the addition of the eyes makes to a tiny animal portrait like this. It gives the creatures instant character. That's why I often try to add them fairly early in the process mostly using tiny straight stitches and a single strand of floss. This time I used black floss for the middle part, a few stitches in a dark brown shade around the eye and finished with a tiny 'sparkle' of white floss. Oh, he/she is turning out so sweet! love the eyes ~ changes everything! Beautiful eyes! Love that sparkle! It's amazing the spark a little white gives. 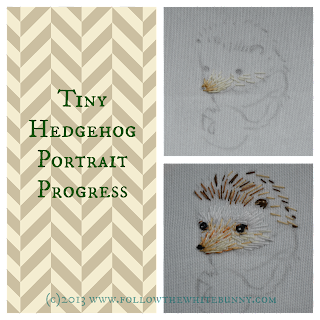 Your hedgehog is certainly coming to life.